My poetry are pieces of time that are captured like a snapshot. My intention is to share with a reader the insight of a different mind, heart, and soul. 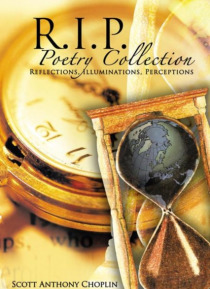 Those Reflections, Illuminations, and Perceptions connect with my deep feelings, inner thoughts, and utmost emotions to give a unique voice unheard of a place in poetry. The end result is a new beginning to an artistic stylish twist, my book calle… d "e;R.I.P. Poetry Collection"e;. I love words and I hope you do too. Also, I have included some of my original artwork in the back of the book. Enjoy! !